Since 1922, generations of lawyers and surveyors have worked out the legal pitfalls of retracing original surveys and reestablishing lost and obliterated corners using the late Frank Emerson Clark's classic work A Treatise on the Law of Surveying and Boundaries. The Eighth Edition of Clark on Surveying and Boundaries maintains the proven, easy-to-use format of earlier editions while digesting the latest case law, regulations, and statutes. Cited in decision after decision, Clark on Surveying and Boundaries is recognized by surveyors and lawyers as the authoritative reference on surveying and subdividing public lands. In 1922, Frank Emerson Clark penned a preface to his "SURVEYING AND BOUNDARIES: A TREATISE on the LAW OF SURVEYING AND BOUNDARIES, " writing that he was submitting "the result of his labors in the belief that he has wrought out a work that will aid the surveyor in executing difficult surveys and will furnish the attorney a ready reference to the laws and decisions of the court on a subject of large importance. " For more than 90 years, the treatise has achieved Mr. Clark's goal, and is an important part of the libraries of surveyors, attorneys, and judges. In the 21st century, it is still cited by courts across the country. Now in its 8th Edition, Clark on Surveying and Boundaries is now in a new loose-leaf format. 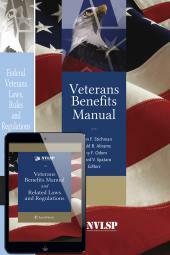 The new loose-leaf binder design allows the Eighth Edition to become a living document, both in terms of personal use as well as future supplements. The annual updates will now be provided in looseleaf format for easy incorporation into the binder - - eliminating the need to maintain and refer to separate annual supplements. 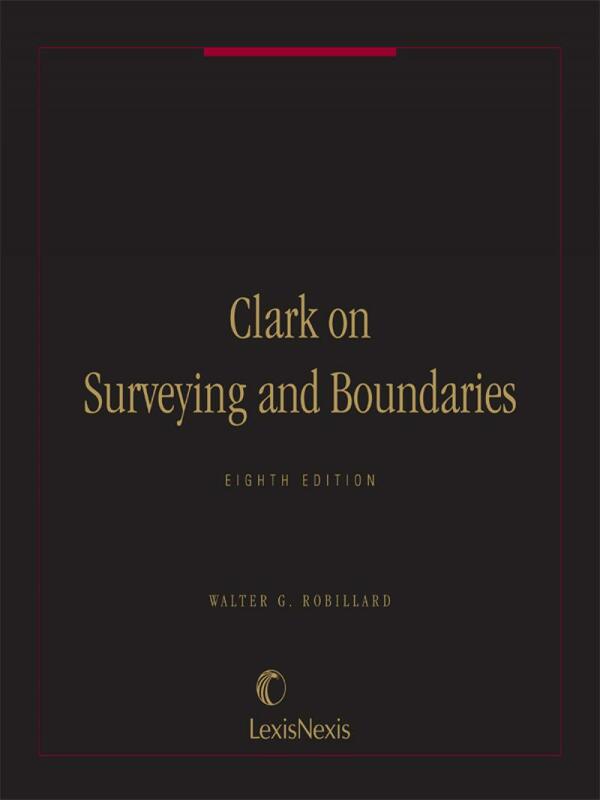 Clark on Surveying and Boundaries is still updated by an attorney who is also a surveyor, Walter G. Robillard, Esq., RLS, and this treatise is enhanced by his insight and practical experience. Walt Robillard has been a practicing attorney for over 4 decades and a field oriented surveyor for over 60 years. His areas of specialty are historical boundary and title issues and field examinations involving specialized problems and complex issues. Having earned college degrees in forestry, public administration and law, he has a solid background in the technical and legal aspects of his profession. While serving as an employee of the U S Department of Agriculture Forest Service for 30 years, he provided testimony relative to trespass and title and boundary issues at the local, state, federal and international levels. He has presented lectures and papers in all 50 states as well as several foreign nations, while directing property boundary programs in 15 states. He has provided technical and legal guidance as to boundaries to major corporations, state and federal governmental agencies and to the Republics of Armenia, South Africa and Albania as well as the Kingdom of Nepal. Presently he provides private consulting services to a vast array of local, county, and state governments as well as private individuals and corporations. 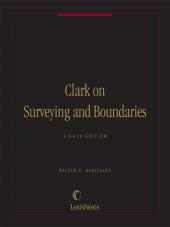 Walt has been the primary author of CLARK ON SURVEYING AND BOUNDARIES since the Fifth Edition.  In this edition he has utilized the input of his grandson Dr. C.A. (Tony) Nettleman, III for the section on water issues.